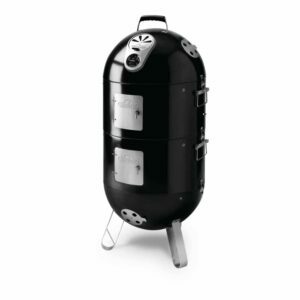 You are going to want to take your time to enjoy every bite of deliciousness prepared in this massive slow-cooking marvel. 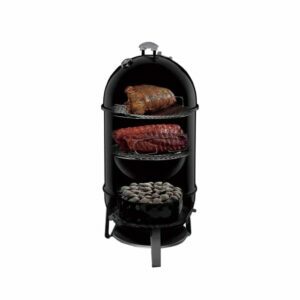 The Weber Smokey Mountain 22-Inch Cooker features two 22-1/2 inch diameter steel-plated cooking grates for a whopping 726 square inches of cooking area, ideal for smoking everything from pork to chicken to a full-sized turkey. 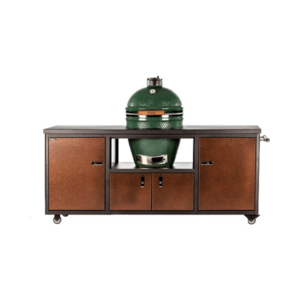 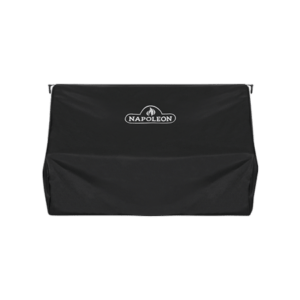 Whether you’re a beginner grill enthusiast or the king of backyard chefs, no grilling repertoire is complete without the Napoleon Apollo® 300 Charcoal Grill and Water Smoker. 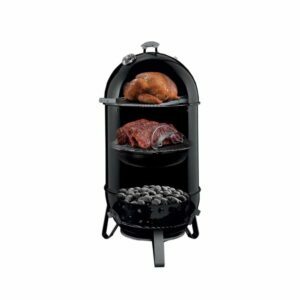 This three in one grill can go from compact and portable charcoal grill to a full-sized smoker in a matter of moments. 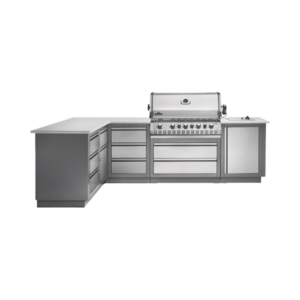 Start a new hobby, or take your grill mastery to a new level with the Apollo® 300. 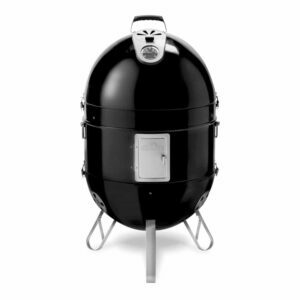 You are going to want to take your time to enjoy every bite of deliciousness prepared in this massive slow-cooking marvel. 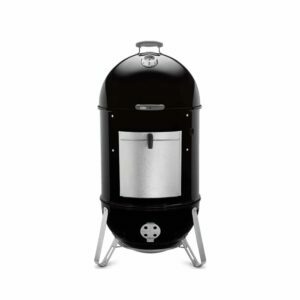 The Weber Smokey Mountain 18-Inch Cooker features two 18-1/2 inch diameter steel-plated cooking grates for a whopping 481 square inches of cooking area, ideal for smoking everything from pork to chicken to a full-sized turkey. 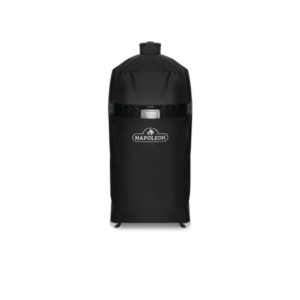 When it comes to smoking and portable charcoal grilling, no backyard chef’s grilling arsenal is complete without the Apollo® 200 Charcoal Grill and Water Smoker. This three in one grill can go from compact and portable charcoal grill to a full-sized smoker in a matter of moments. 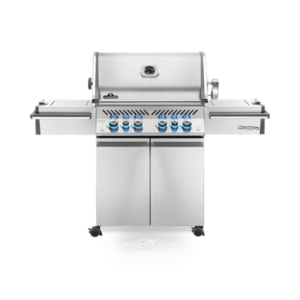 Start a new hobby, or take your grill mastery to a new level with the Apollo® 200. 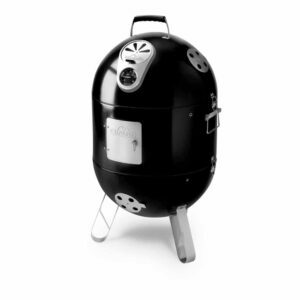 You are going to want to take your time to enjoy every bite of deliciousness prepared in this massive slow-cooking marvel. 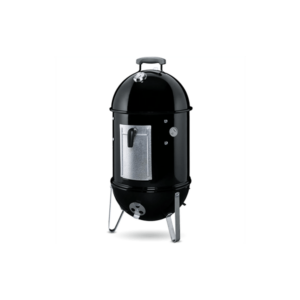 The Weber Smokey Mountain 18-Inch Cooker features two 14-1/2 inch diameter steel-plated cooking grates for a whopping 286 square inches of cooking area, ideal for smoking everything from pork to chicken to a full-sized turkey.